If you would have asked me yesterday what my favourite American export is, I’d have probably said Cheetos (the jalapeño ones that look like Nik Naks, remember them, Nik Naks?) or Sierra Nevada Pale Ale. That all changed when Manchester #menswear power force Oi Polloi sent an email round earlier today letting everyone know about the new Eastland stuff they’ve got in. 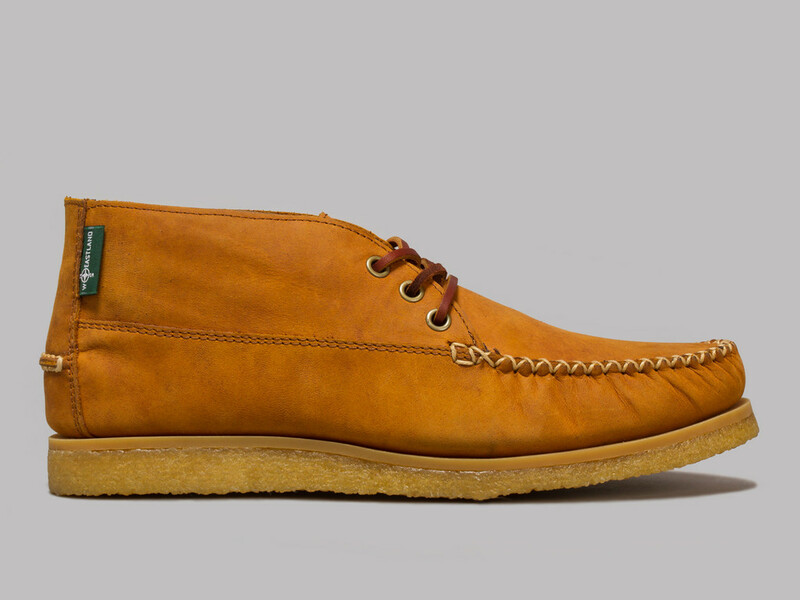 I’m quite into moccasins, Clarks Wallabies are my usual choice and I’d quite like a pair of Yuketens but i’m not Tory rich and I always seem to miss out when people are selling a pair of theirs on the forums. So when I saw these I was dead chuffed, chuffed enough to buy a pair on the spot, stood at a bus stop anyway. 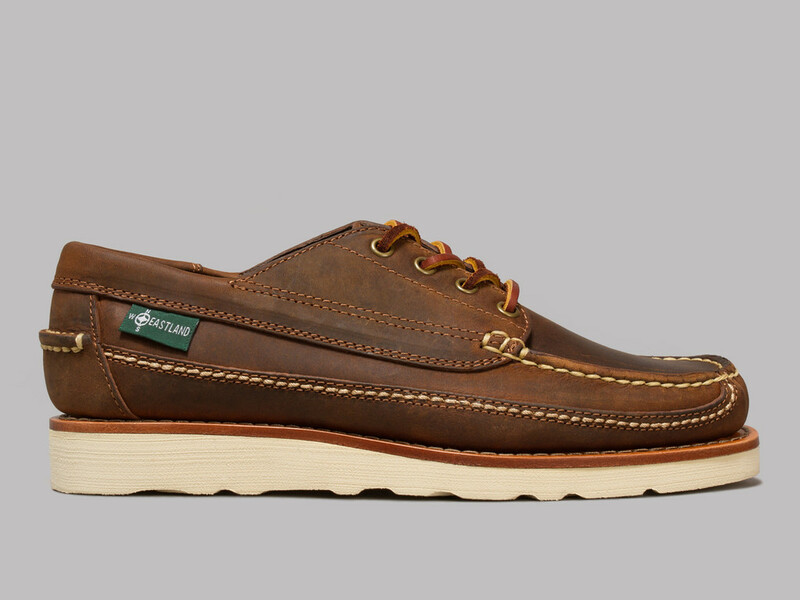 Eastland was founded in 1955 and are from Freeport, Maine and they’ve just got that sorta style that you only really get with American products, proper Ivy League steeze, nailed on plenty of dead smart, rich American lads have gone into an exam wearing a pair of these with some horn rimmed glasses, a pair of slacks, an oxford button down shirt and a lambswool jumper, they’ve just got that feel to them. A proper The Graduate kinda thing going on. My favourites ones are the Oneida 1955 Chukka Boots, they’re the ones I bought at a bus stop, mad technology init. Anyway, they’ve got a crepe sole, and some proper nice leather in what they’re calling ‘peanut leather’ which makes me think of that little mascot of the peanut in the top hat and monocle. If you’re mad in the head and don’t like those then there is 4 others for you to check out, all them but one with crepe soles, but the other ones are on Vibram soles so they’re still mint. 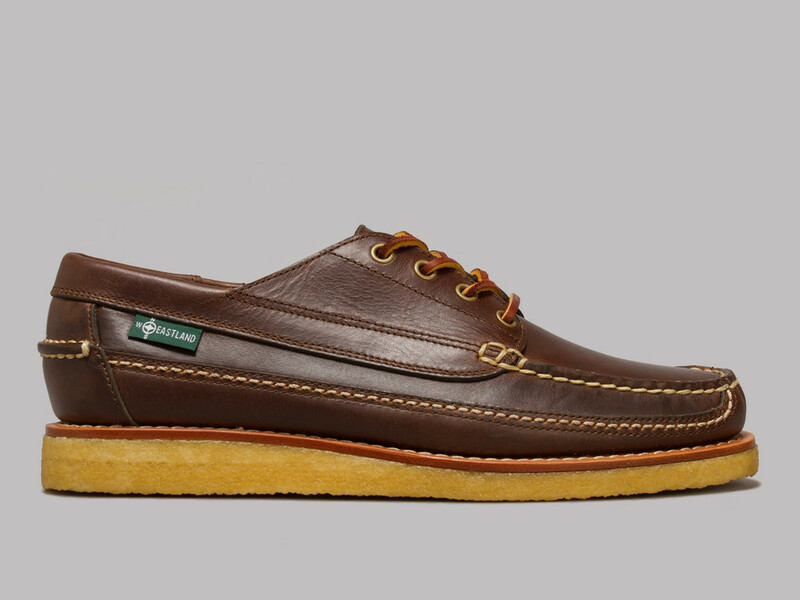 Like I said, buy them from Oi Polloi and really do buy them cos they’re proper mint.